Also visit our page on FACEBOOK. Celebrating 40 Years In Jackson - 1969 through 2017 - Business is Healthy!!!!! Walt's Health Foods (Downtown) - Corner of Michigan Ave & Mechanic St.
-Construction is almost done!!! Plenty of parking along Mechanic St.
-Fruit Basket orders are being taken. Great gift for family, friends, clients, employees, etc!!!!! You can now order Fruit Baskets from our website!!! Click the link above on the header. ~Any Quantity, size, many options available. ~Gift Baskets can be delivered! We are located in the Target Wing of the Jackson Crossing!!!! We are pleased to be serving the greater Jackson area. We are continuing to grow and prosper and are willing to help the community in the best possible manner. We encourage all to buy locally and to support our great community. The ever popular Fruit Baskets are available year round for any occasion. They are good for that person who no gift is good enough for or for that hard to buy individual. The fruit baskets can be delivered locally, shipped anywhere throughout the country, or even picked up. Also feel free to come on in and grab one of our free magazines. We have several magazines that are published nationally, regionally, and for the Jackson area all based on educating individuals. 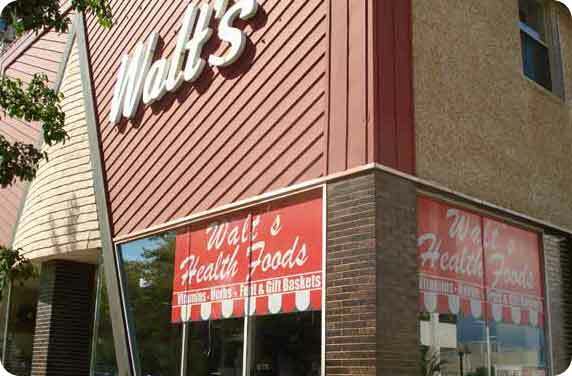 Walt's Health Foods is associated with The Jackson Midtown Association.